Dr Govind Krishna is a General and Upper Gastrointestinal Surgeon providing consultative services at his rooms located at Campbelltown, Fairfield and Liverpool. 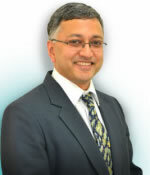 After completing his initial training in India, Dr Krishna underwent advanced surgical training in General Surgery in New Zealand and obtained his FRACS in General Surgery in 1999. Subsequently he did a year of Vascular Surgery Fellowship at Auckland Hospital New Zealand followed by a year of Upper Gastrointestinal Surgery Fellowship at St George Hospital Sydney. Thereafter, Dr Krishna was a Consultant Surgeon at Whangarei Hospital New Zealand with interests in Upper Gastrointestinal Surgery, Advanced Laparoscopic Surgery, Endoscopic Surgery, Bariatric Surgery and Vascular Access Surgery for chronic renal failure patients. Dr Krishna is a member of the Australian Medical Council, Royal Australasian College of Surgeons, Australia and New Zealand Hepatobiliary Pancreatic association, OSSANZ, and the New Zealand Gastroenterological Society. Dr Krishna has a special interest in all kind of Hernia Repair and has performed more than a 1000 procedures in the last 14 years with a result better than benchmarked from worldwide literature. Dr Michael Talbot completed Medical training and his Intern year in New Zealand before starting work at St Vincent’s Hospital Sydney at the end of 1993. After completing his basic surgical training in 1996, he moved to St George Hospital in 1997 to commence the Royal Australasian College of Surgeons training program. Over the next four years he worked at St George, St Vincent’s, Liverpool, and Wollongong Hospitals until passing his final exams at the end of 2000. Dr Talbot is the Head of the Dept of Upper GI Surgery at St George hospital, and is a member of a number of local and international societies including the American Society of Obesity and Metabolic Surgery (ASMBS), the International Federation for Surgery for Obesity (IFSO), the Obesity Surgery Society of Australia and New Zealand (OSSANZ), The Australian and New Zealand Gastro-Oesophageal Surgical Society (ANZGOSA, The Society for Surgery of the Alimentary Tract (SSAT), The American Society for Gastrointestinal Endoscopy (ASGE), and The Society of American Gastrointestinal and Endoscopic Surgeons (SAGES). He runs several research projects per year and presents at local and international meetings on topics including Upper GI Surgery, Obesity, and Endoscopy. 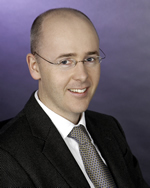 Dr Talbot has a wealth of experience in all different kind of Hernia repair.